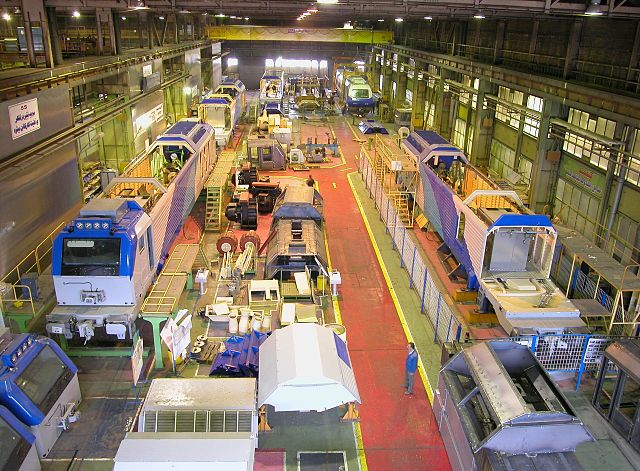 Companies in railroad equipment manufacturing industry manufacture freight and passenger rail cars, locomotives, brakes and other parts and equipment used in railroad operations. The transportation equipments manufacturing industry has become central to economical development. Demand for these equipments has risen sharply as the volume of transported goods and the distance covered have expanded. This trend is expected to continue over coming years. The demand for freight rolling stock is being driven by hike in fuel prices globally as higher prices have shifted freight transport trend from trucks to rails. Demand for passenger rolling stock is being driven by the investment by governments in regional rail transport. The profitability in this industry is dependent upon securing long-term contracts and lease with railroad companies. Larger companies are at advantage by manufacturing huge quantity of railroad equipments simultaneously, thereby achieving economies of scale. Globally, Europe and APAC are largest markets for railroad equipments followed by North America and Row. Many nations in Europe and Asia have adopted effective policies and are investing significantly in their rail transit sector. Especially for intercity passenger rail, Europe and APAC are far ahead than U.S. with respect to spending on rail transit comparative to their GDP and population. Germany, UK and China are the largest markets. India, China and Brazil are identified to be the fastest growing markets among emerging markets due to increased domestic consumption, favorable economic conditions, demand for freight transport, increasing passenger growth and expansion of rail networks. The challenges for this industry lie in the governments of the respective countries as the governments in some of the large market continue to control the railroad operations and they try to go for more popular policies which make this market price sensitive. The opportunities in this industry lie in investing in developing innovative products that can increase speed, reduce cost and weight and ensure passenger safety. Some of the major companies in railroad equipment manufacturing include American Railcar Industries, Electro-Motive Diesel, GE, Greenbrier, Trinity Industries, Westinghouse Air Brake Technologies, Alstom, Bombardier, China CNR Corporation, CSR Corporation, Nippon Sharyo and Siemens.